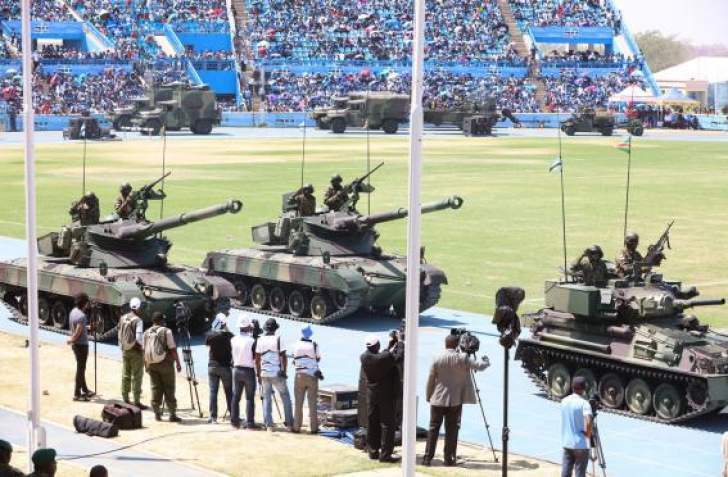 The Commander of Botswana Defence Force Lt. General Placid Segokgo last week deployed military assets including armoured tanks and personnel in key strategic in anticipation of a coup against President Mokgweetsi Masisi's government. This followed credible intelligence from the South African Defence Force (SADF) and the United Nations that a coup was building up in Botswana, Sunday Standard can confirm. BDF Director of Protocol and Public Affairs Tebo Kacho Dikole told the Sunday Standard that he could not comment on the enquiry as it would amount to discussing matters of "operational security." Dikole stated that, "kindly be advised that the BDF does not discuss operational matters with the media or any third party for that matter as this will no doubt compromise and impact negatively on the operational security (OPSEC)." The Sunday Standard in January reported that a group of Israeli related mercenaries had tried to topple the Government of President Masisi in July last year. Former President Ian Khama claimed the story had been planted by President Masisi. "You guys in Botswana might have thought relocating the De Beers operations from London to Gaborone was of itself a great thing, but it has come at a huge cost. And it is beginning to show. It has attracted all kinds of bad elements to Botswana" a South African based source who was inadvertently sucked into the earlier coup plot told Sunday Standard recently in Johannesburg. This was part of the newspaper's ongoing investigation into allegations of a brewing attempt to topple President Masisi. "Botswana, especially the Maun airport and all the airstrips spread across the Okavango Delta are ideally placed for transporting all the contraband. But this can only work when there is lawlessness" he said. "I think I saw a big military tank by Btv on the back road that joins Wellie Seboni on Saturday night around 10 pm and two smaller military tanks by the main entrance around 5am today (Monday) I should have my mind and eyes checked," a member of the public known to Sunday Standard wrote on his Tweeter Account. The tanks stayed for a couple of days starting the weekend until the BDF command was convinced that that the coup threat level had significantly subsided.